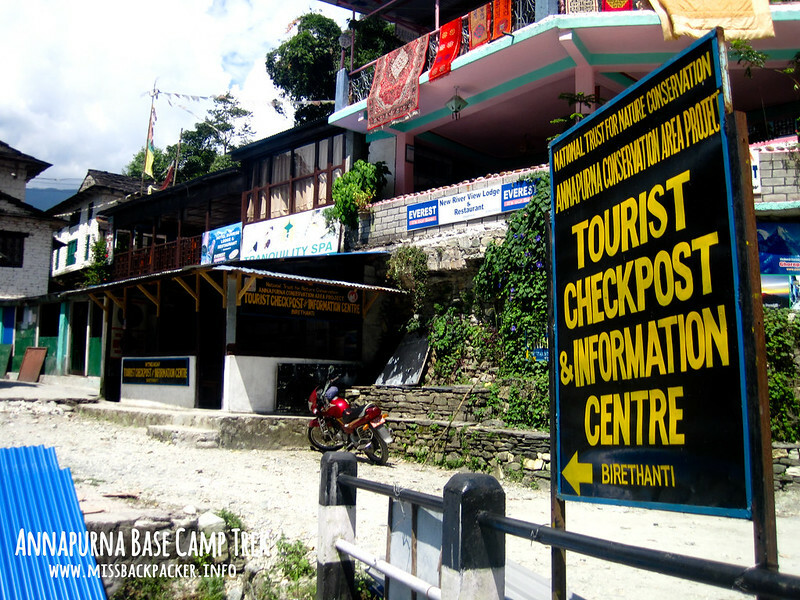 Annapurna Base Camp Trekking Permits | Where Have You Been Lately? Don’t let your dreams of seeing the Eight-Thousanders stay as dreams. Trekking in Nepal is just within your reach! Now that you have obtained your visa, the next thing you need are permits for your trekking in the Himalayas. 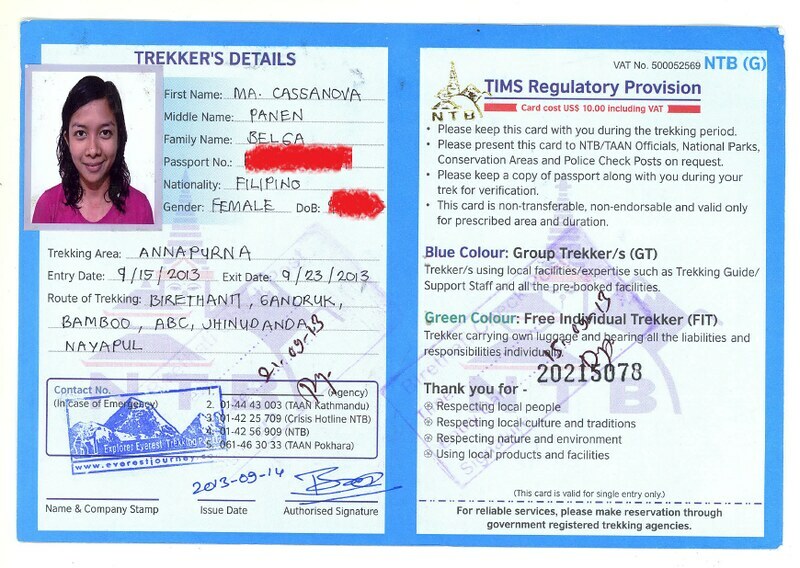 For those who are trekking to the Annapurna Base Camp (ABC), you need the Trekkers’ Information Management System (TIMS) and Annapurna Conservation Area Project (ACAP) permits. 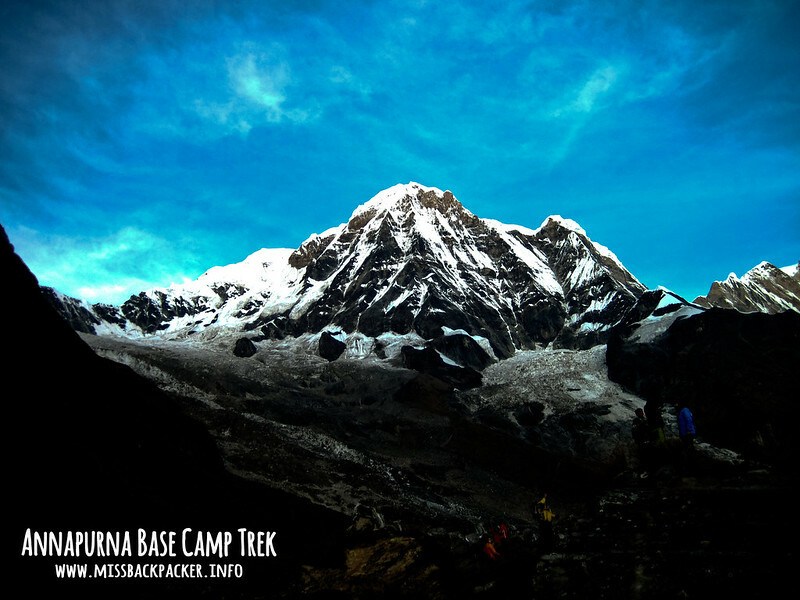 The breathtaking view of Annapurna South from the base camp. During our preparation, the team of The Himalayas Project learned that offices in Nepal are closed during Fridays and Saturdays and operate from Sunday to Monday. What a luck! Our arrival in Kathamandu happened to fall on a Saturday. We tried calling the numbers of the TIMS and ACAP offices to ask for advise on how we could get our permits but none of the numbers listed on several websites seemed to work. In some parts of the trails, you will be asked to present your permits to the officials at the checkpoint centers. And since it’s another eight-hour drive from Kathmandu to the city of Pokhara, where our trekking would actually commence, we anticipated that obtaining permits might cause delay in our itinerary. With so much hesitations at first, we finally thought of asking our guide and now-friend Ramesh, owner and founder of Everest Journey, if he could help us get the permits we needed for the trek. Luckily, it was a no-brainer. He just asked to send him a couple of things via email. So, what are these things? I honestly admit that this post may not be helpful at all in terms of how-to and where-to because, just like what I mentioned, our permits were already arranged by our guide even before our arrival. But to give you an overview of what are needed to acquire the said permits, let’s start with why these small pieces of papers are needed. Now let’s go back to the question what are needed to acquire the permits. 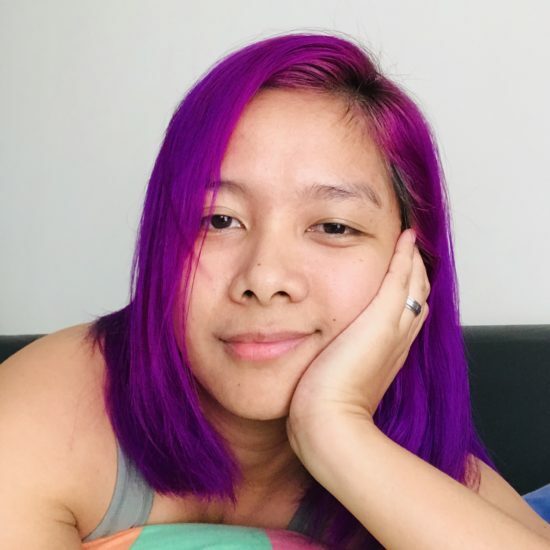 Here it goes, you need an NBI certificate, certificate of employment indicating you have been an outstanding employee for the past years, good moral character, urinalysis, set of great white teeth, and a show-money of at least 1M in Philippine peso. Alright, alright. Here’s what you really need. 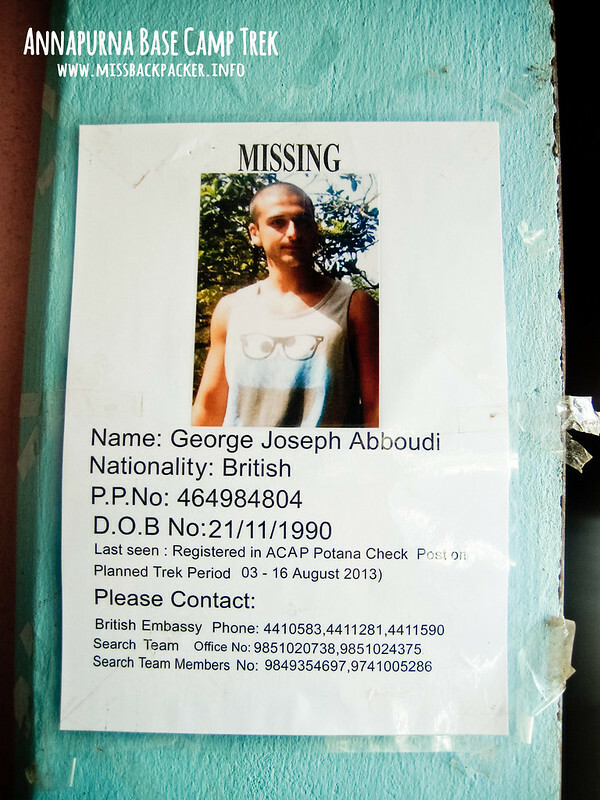 You can obtain such permits from the TIMS and ACAP offices in either Kathmandu or Pokhara. You’d also be ask to pay only $10 for each permits if you’ve availed of a trekking package from one of the accredited trekking agencies in Nepal. But of course, you know how packages work. They provide you convenience at an extra, sometimes, overpriced cost. To learn more about the permits like exemptions, rules, and other FAQs, please visit the TIMS and ACAP websites. Trekking Peaks require a qualified “climbing guide”, permits and deposits to cover camp waste disposal. There are 33 trekking peaks in total but the two most popular peaks are. There are two main approaches, both converging on the major village of Chhomrong after two or three days’ walk (though hardy types have made it in one exhausting day). At the time of writing, however, new roads were being built towards the largest villages, Ghorepani and Ghandruk, which will reduce the walk-in – though it may take some time for regular bus or jeep services to become established, and longer still for this area to become a tourist rather than a trekking destination.